This is my first go around with this blog stuff so here goes. 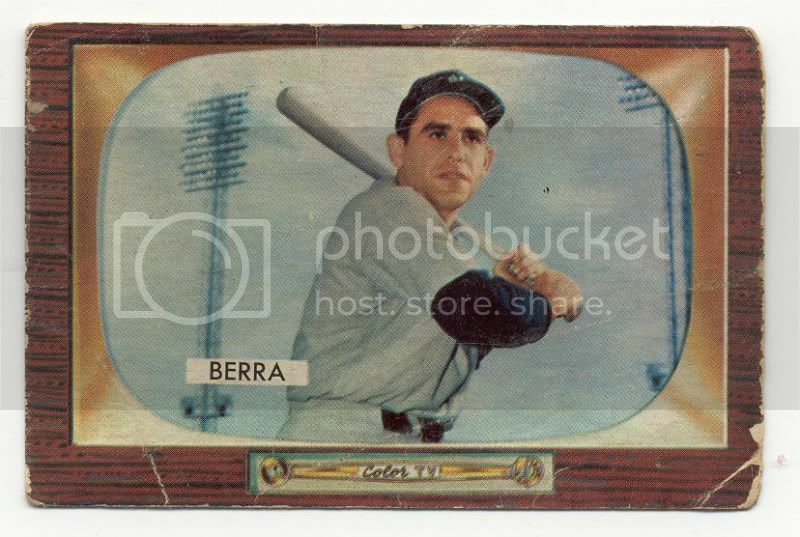 I started being interested in Baseball cards back in the fifties. As a farm kid late in 1954 while visiting my cousin in town I still remember seeing the the 53 Musial on one of the stacks of 53 bowmans on his kitchen table. I then started buying 5c packs of Bowman in 1955. 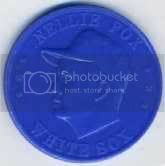 The second pack I got the first card was Nellie Fox, being a White Sox fan, I was hooked but like many others lost interest as I grew older. Around 1987 my son was six and I started bringing home packs of topps. We started going to shows and in 1993 started team collecting rather than sets. He with Cubs I with White Sox. I'm still at it. Thanks for you interest and good luck in your collecting. Here's a nice 1956 card that I picked at a small local show. 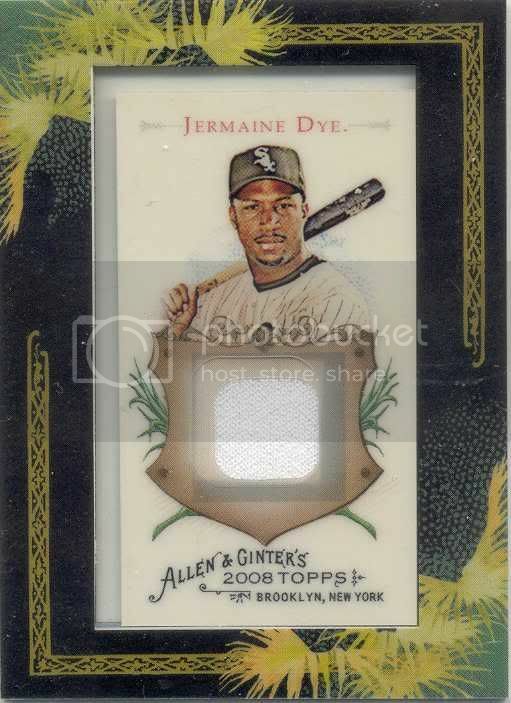 2009 Topps Chrome, nice card. Trying for a Beckham, we'll see. 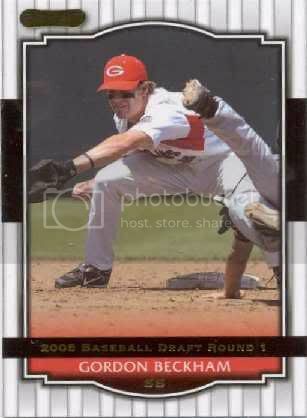 My first card has come in of the new White Sox Phenom, Gordon Beckham. I hope to get many more. I just received my first order from Sportlots. 2008 Topps Heritage Then & Now TN2 Fox & aRod. Great card and excellent and fast service from Sportlots. I am considering updating my sox checklist (225 pages-ms works 2000 spreadsheet) with 2006 and up lists. It will be a big job though with all the parallels from the last couple years. 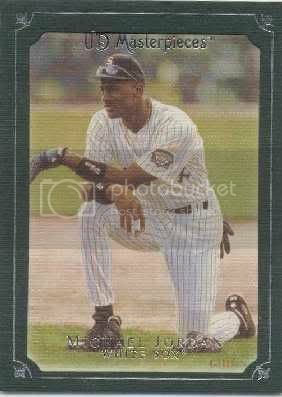 Just updated my list for the 1996 Dannon White Sox set. Got the complete list from Jason over on the whitesoxcards forum, Thanks. As I almost never buy boxes anymore, imagine my surprise when I found myself plunking down 20 bucks for a topps box at WalMart yesterday morning. It was one of the Black boxes, with all the base cards in black. Out of ten packs only one White Sox! Javier Vazquez. Did pull a Campanella AS Patch though (1949) as the patch card, and a Cal Ripken Legends of the Game. Target is supposed to have a parallel set also, with old style cardboard and the old topps logo. Well I'm getting close to 12,000 different sox cards, only 17 away. (edit) passed and then some now at 12172 different. I added a couple of Fox cards late last year with one of the last auctions I've bid on eBay. The best one a 1977 Sertoma Stars. Also got a 1979 Walin Diamond Greats set of Sox, neat cards. Update: Just received the 09 Topps Heritage cards from ebay seller TJBSportcards, great cards, my first card of Wilson Betemit from the Swisher Yankee Deal. 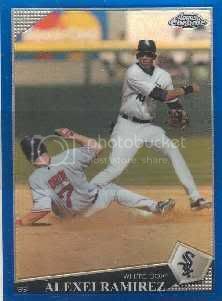 Also another Junior card as a Sox. Update: Went to a show in Decatur, Il; found a few cards and a 2006 White Sox Heros deck. Best card, a 2008 Upper Deck SP Legendary Cuts Aparicio-Rameriz Dual jesey. card. Also just received a 1959 Armour Coin Nellie Fox (dark green) from eBay. It's my third Armour Fox. I'm in a pretty good mood. I've found a site that wants to upload my pc images. I started a ftp upload tonight and eventually I'll have all 11,966 (front and back) on the site. 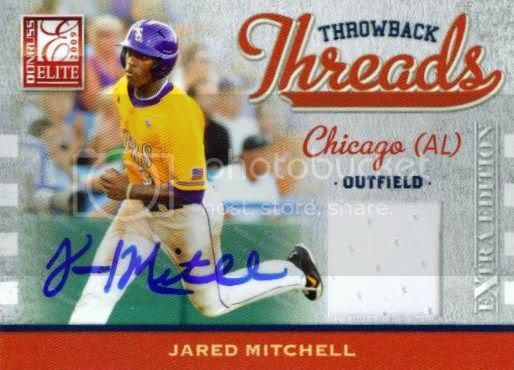 It's a great site if you like cards, especially White Sox cards. I'll check back in when the deal is finished. I've seen some 55 Bowmans, and some 60 Leaf among many others. They are all up. They will be slowly added as time goes by. A very good looking card for a minor milestone.